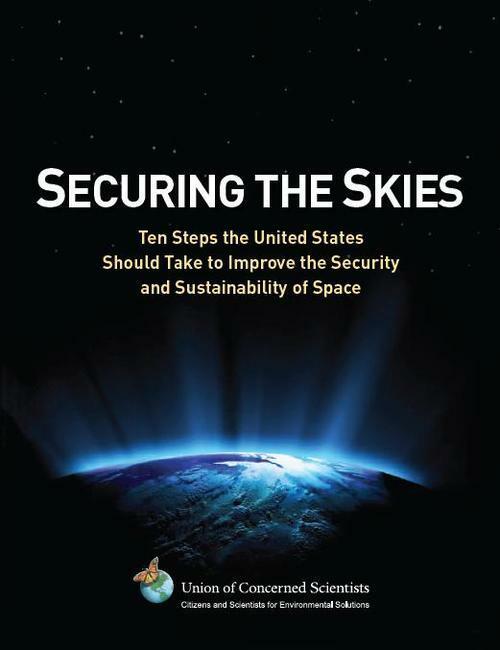 Today we’re releasing a report, “Securing the Skies: Ten Steps the United States Should Take to Improve the Security and Sustainability of Space.” We worked with experts in the security community to identify near-term, practical steps the Obama administration should take to ensure the sustainability of the space environment, keep satellites safe, and enhance stability in space and on the ground. As space gets more crowded with satellites and debris, and the national security uses of satellites increase, risks to satellites are growing and concerns about space activities and the motives behind them are creating friction among countries. U.S. policy in the last decade focused on unilateral and military means of securing space, and little effort was made to explore the possibilities of diplomacy or new laws to serve U.S. interests. A key finding of our report is that the range of space security and sustainability issues cannot be addressed unilaterally or solely through military means, but requires coordination and cooperation among those using space. While the Obama administration is saying many of the right things and is taking some steps forward, it needs a more comprehensive and coordinated approach. prevent activities in space from sparking or exacerbating crises on the ground. While reaching these goals may be difficult and take time, our report recommends 10 near-term steps the Obama administration should take to get started on the right path. The United States is the country most invested in space and most poised to benefit from a comprehensive, multilateral space security plan. Creating and implementing such a plan will take leadership and sustained engagement by the U.S.
Our recommendations are given in the executive summary, and are discussed in more detail in the full report.